garlic coconut chutney recipe - a coconut chutney which has the flavors of garlic. add the curry leaves and fry them till they are crisp. keep aside. take the rest of the ingredients in a chutney grinder or blender. add the fried curry leaves along with the oil. pour very little water and grind all the chutney ingredients till smooth. 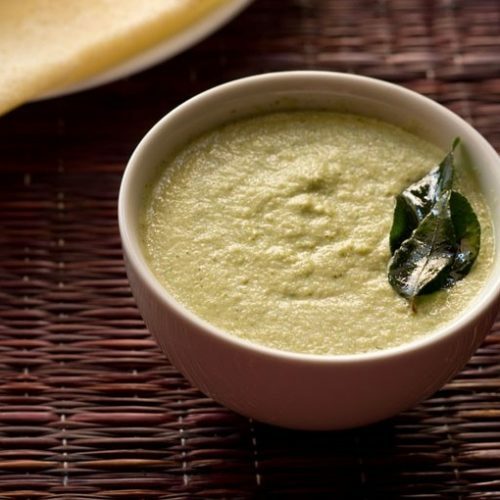 serve the garlic coconut chutney with idli, dosa, rava dosa, medu vada, uttapam or upma.